From the "Overview" tab in your Admin Dashboard select the "Fundraising Event" overview button. Then click the "Manage" button beneath the event you'd like to recruit fundraisers for. Navigate to the "Fundraising Champions" tab of your Event Manager. Once you're in the "Fundraisers" tab, click the "Add Fundraiser" button. You'll have the option to add one fundraiser or add multiple fundraisers at a time. 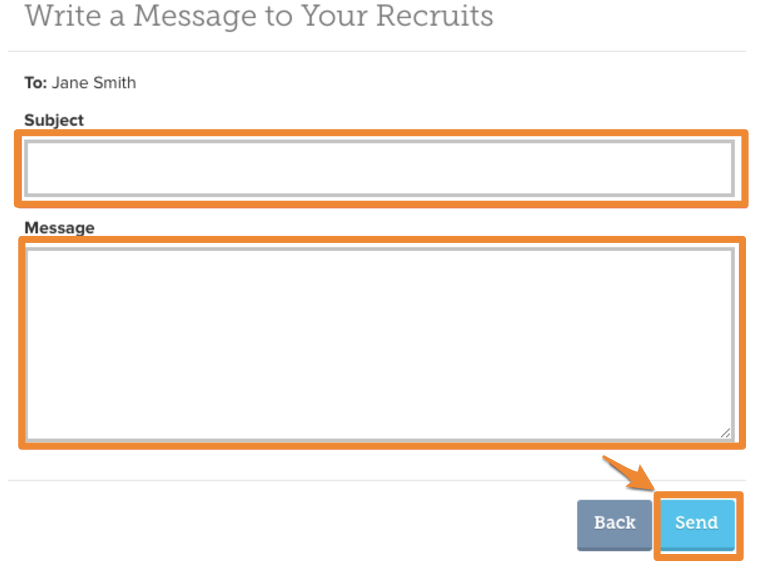 Once you've input the name and email of the fundraiser(s) you'd like to add, click "Next" to compose your recruitment email. Add a subject to your email and a message letting your fundraiser(s) why you're recruiting them to raise money for your event and the impact they'll have. Once your message is complete, click "Send". Your fundraiser(s) will receive an email with your personal message along with a link to their toolkit, the direct link to their fundraising page, information about customizing their fundraising page, and temporary login information if they've never used GiveGab before.